My family and I are so excited that Spring is finally starting here in Colorado! After a long winter full of lots of snow, cold days, and a burst pipe in our basement, we are ready for some sun. One of the reasons that we love Spring is because of the delicious, cool recipes that we get to make and share. 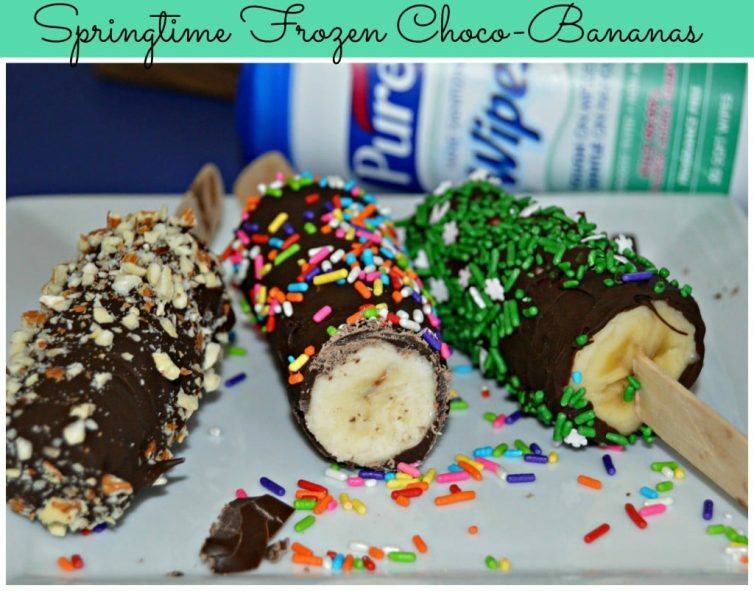 One of our favorite Spring time treat are these Frozen Choco-Bananas. They are so easy to make, and kids (of all ages) love them. 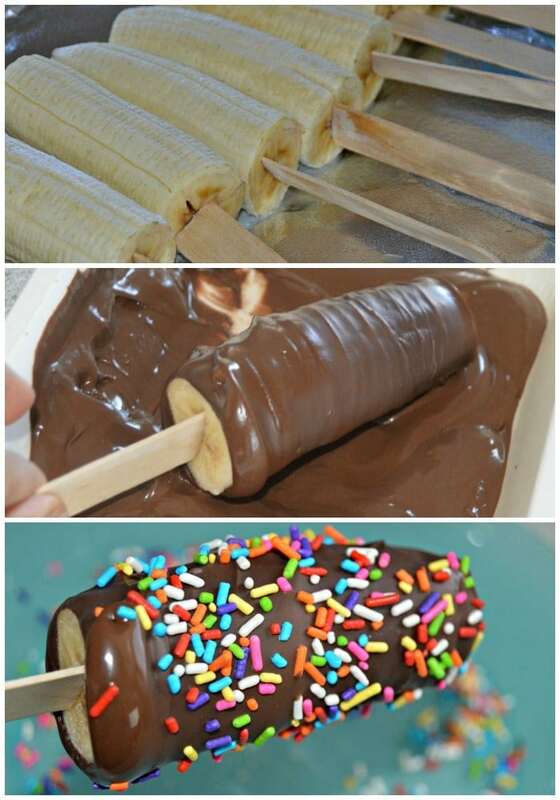 All you need is bananas, chocolate that melts easily, wooden sticks, and the toppings of your choice. You can start by lining a baking sheet with aluminum foil and cutting the bananas in half. 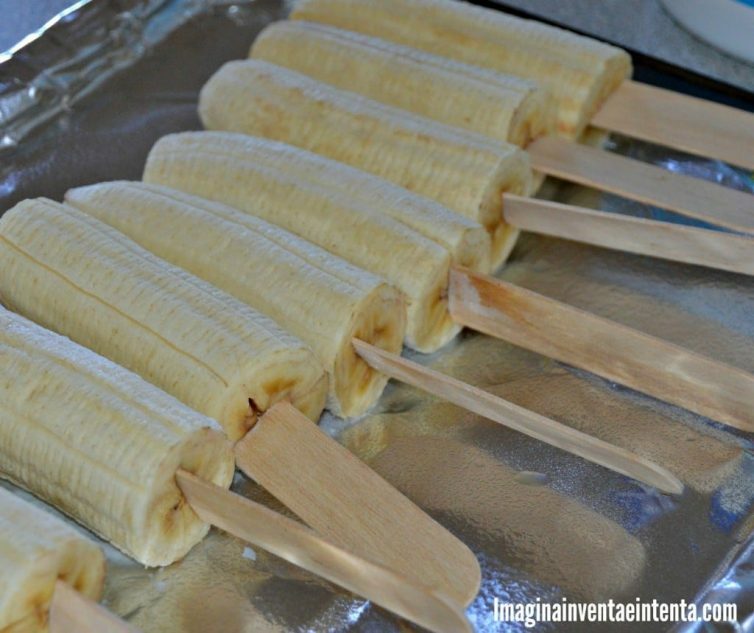 After that, insert the wooden stick into the banana, place on the baking sheet and freeze for at least a couple of hours or overnight. 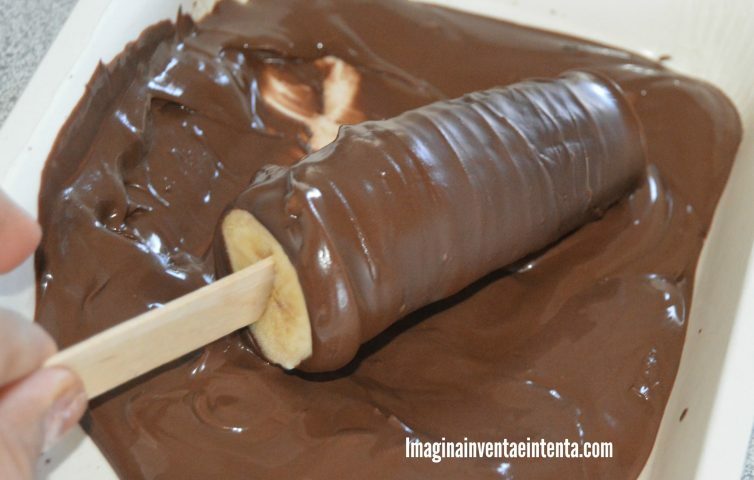 Next, melt the chocolate (I use the melting chocolate that comes with a melting tray), and coat the frozen bananas. 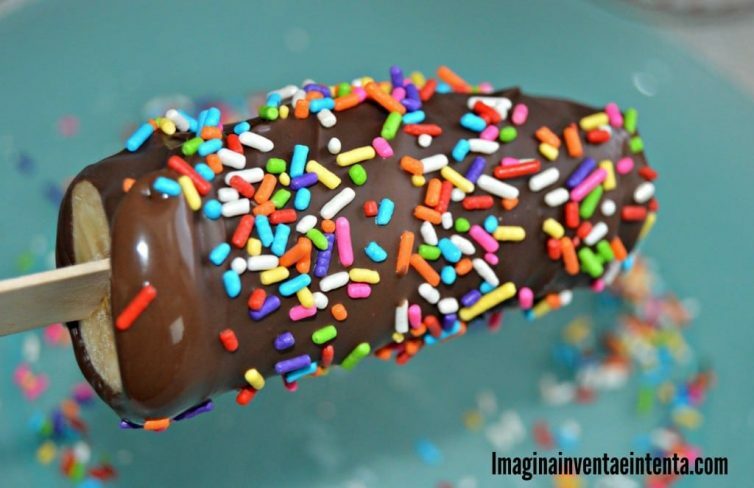 Lastly, sprinkle the chocolate covered bananas with toppings of your choice. Some options are sprinkles, coconut, chopped almonds or pecans, and more! 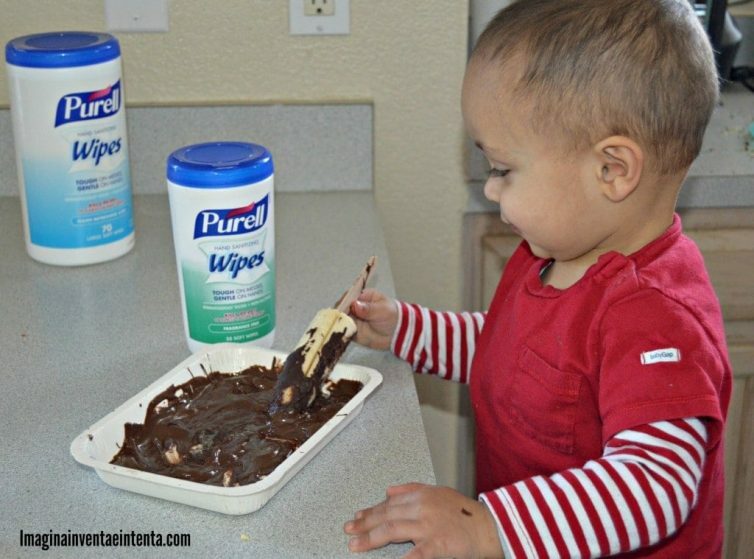 One of the side effects of making and eating this treat is that it nearly always results in messy hands and faces. This is nothing new, as pretty much everything that my little boys eat ends up all over their faces and hands. 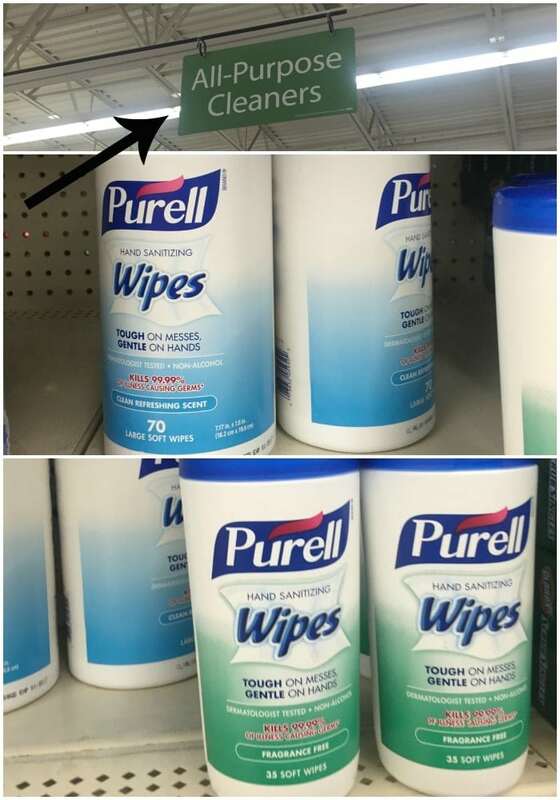 That is one of the reasons why I am excited that I found these new PURELL® Hand Sanitizing Wipes at Walmart. 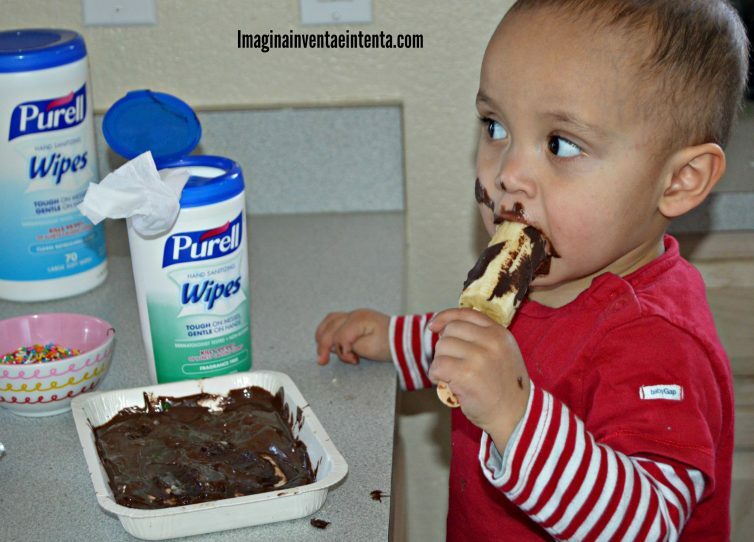 They come in convenient 70-count and 35-count canisters and are great to have on hand for life’s many messy moments. PURELL® Hand Sanitizing Wipes are safe to use on hands and faces, and they are proven to reduce the transmission of germs in the household. This is a brand new product and you can find it in the household cleaning section of Walmart, and I even have a coupon that you can use so you can go out and get some today – just click here! Also, be on the lookout for another coupon in the newspaper beginning on May 17th! 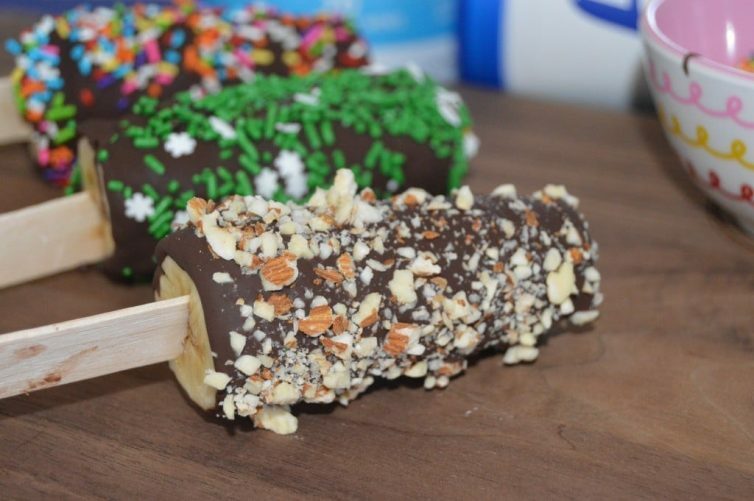 My boys really wanted to help make these Frozen Choco-Bananas, so of course I let them take a turn, and when they were done I made sure that they cleaned up (well they tried, and then I came in and finished up:)). 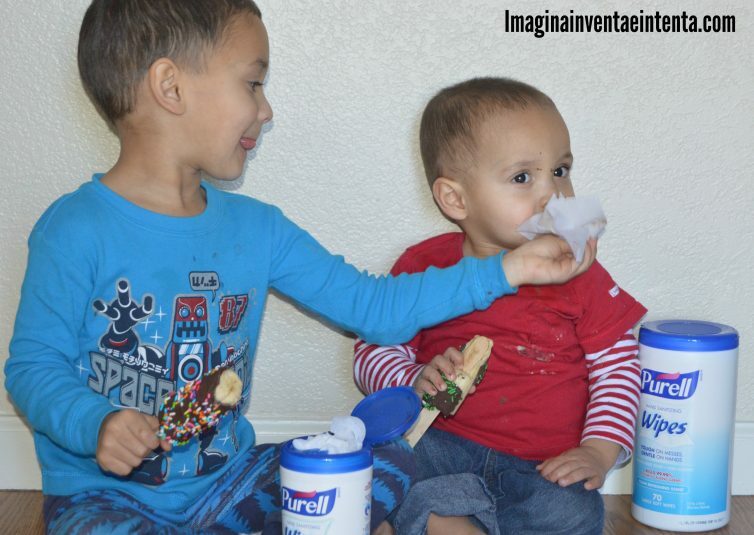 I was really impressed with how easily these Purell® Hand Sanitizing Wipes cleaned them up after this big mess. What is your favorite Springtime treat?